From the graceful elegance of a Beverly Hills Mansion to the charm of a rustic countryside cottage, Gate Crafters premium red cedar gates tasteful richness of design and wide variety of products has the solution to your gate design needs. Our primary ingredient has always been kiln-dried fine textured Western Red Cedar because of the fantastic strength to weight ratio, ease of machining to fine tolerances and its paint holding abilities. Cedar is a great choice for outdoor use because of its versatility. It can be stained, painted, or used “as delivered” in its raw nature for a rustic look. After some weathering cedar turns a light grey color. You can also preserve the natural color by applying a UV wood sealer regularly. One of the unique features of our gate is the welded eleven gauge steel frame which is completely concealed inside the cedar providing distinctive quality and design. The internal steel frame joints are all welded to ensure frame strength. As for the outside of the gate all angled joints are screwed, glued, then filled with wood filler. Bungs are used to fill all straight drilled holes then angled and straight holes are sanded to ensure a smooth seamless finish. This Gate Crafters Cedar Gate design is available in six standard sizes 10', 12', 13', 14', 15' & 16' and these are the actual sizes of the gate itself. Select your option from the drop down menu above. Standard gates typically ship in 30 days. The gates are identical on both sides and are 4" thick. Limitations typically are 16' overall width and 90" overall height, also all gates come with ball bearing hinges for your hanging convenience. Hinge is shown to the left. The Gate Crafters Cedar Gates can be used with or without auto access controls which are purchasable separately. We would be happy to help you complete your Cedar Gate purchase with a gate opener recommended by one of our technical specialists and tailored specifically to your driveway gate. 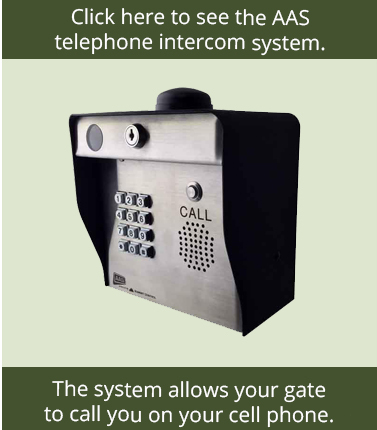 We offer gate openers and gate opener accessories from all of the leading brands including Estate Swing, GTO and Apollo. Browse the selection for yourself (see related items on the left), use our Accu-Choice feature, or if you are seeking further assistance our experienced sales representatives will assist you 9 a.m. – 9 p.m. EST. 7 days a week for a recommendation. The cedar is permanently bonded to the welded frame with LP Premium waterproof polyurethane adhesive which means the gate will have a high resiliency to harsh weather elements due to its performance characteristics and insensitivity to moisture. With our “Full Frame Double Stacked Impact Point” design you can rest assured that durability and strength of your gate will remain uncompromised even after dealing with the rigors of powered auto access controls. Dimensions and size specifications are enclosed. Custom gate designs are available per customers' drawings and dimensions and are typically quoted the same day as submitted. Here you will find frequently asked questions by our customers. If you have a question about the Gate Crafters Cedar Gates which are not answered here we’d be happy to help. You can e-mail us at Sales@GateCrafters.com. What is the largest gate I can have built? 18.5' is the largest you can have custom built. 16' is the longest standard size. Can I use my garage door opener for the gate opener? 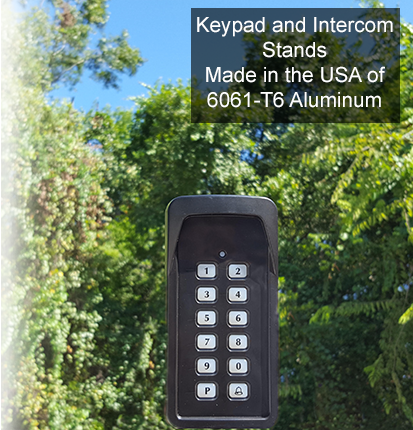 Garage door openers will not work with our gate openers however Gate Crafters has a dual button transmitter that can be used on both. Can I paint or stain the gate immediately? Yes, our Cedar Gates can be painted or stained upon delivery. Do our gates come with a warranty? Our Cedar Gates come with a one year warranty on manufacture defects. Can I design my own Gate? Yes, although this is considered a custom design, pricing and a final sketch can be provided within 48 hours. How long does it take to ship my gate? Most states will receive their shipment in about 3-5 business days after production is complete. How easy is the gate to install? Gate Crafters caters to the “Do It Yourself” customer, with our innovate products, knowledgeable staff and outstanding customer service projects like these have never been easier. Can I install the gate by myself? 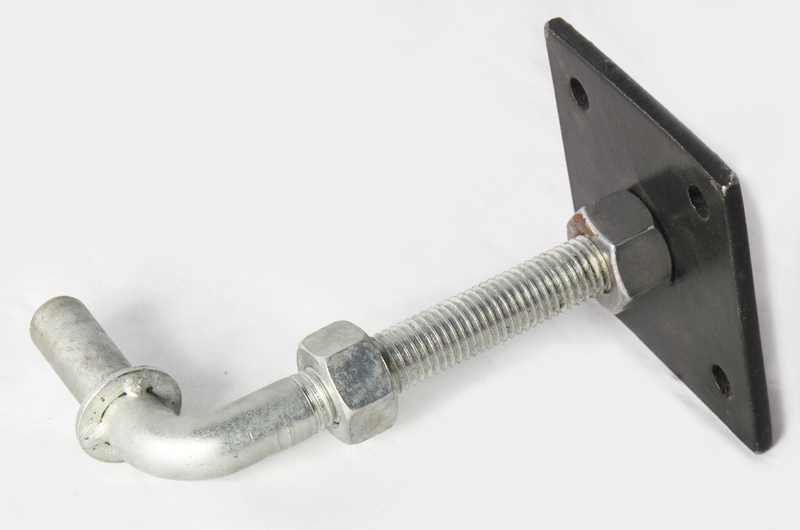 Although it may be possible to install with a single person, it would be recommended to have two people for lifting purposes. Do I need to buy special tools to install a cedar gate? No, most of the tools needed are basic household tools found in most toolboxes. Are cedar gates designed for security or for looks? The answer simply is both, our gates add a beautiful touch and a measure of security due to the eleven gage steel frame which is completely concealed inside. Can I order my gate already stained or painted? Maintaining quality of our product would be difficult due to the size and weight of our gates therefore our cedar gates can only be delivered in their raw nature. 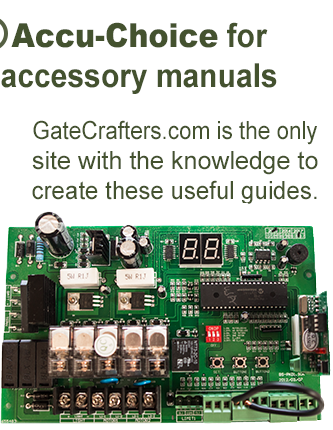 With our detailed easy to follow instruction manuals and 24/7/365 tech support Gate Crafters has revolutionized the "Do It Yourself" process. Projects that once seemed difficult have been simplified with innovative products, superior tech support, customer service, and easy to follow instructions. No other retail store or website has this level of commitment to support DYI customers. 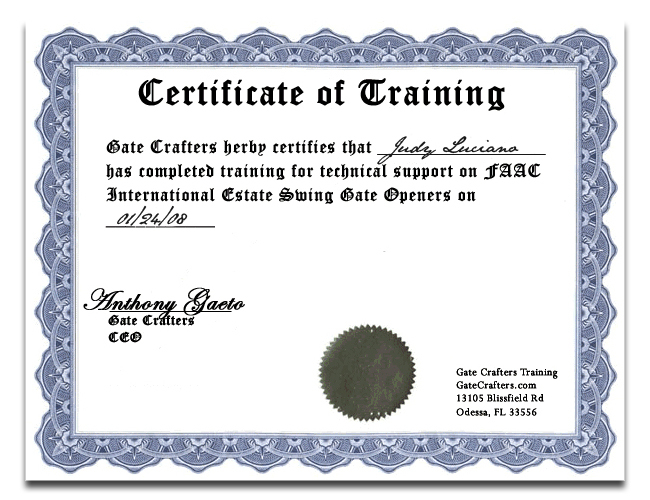 We at Gate Crafters realize that your expectations as a customer go further then the actual sale, that is why Gate Crafters stands alone in demonstrating that customers are our #1 priority.